It feels good to be starting a new year with a clean and well organised house. If I was still writing for a living I'd also have daily schedules, to-do lists written out, my calendar marked up with birthdays, special events and various appointments, as well as a daily writing plan and monthly chapter list. Being organised makes things easier. It gives you a starting point and an end for each day and if you're smart, it will include family time and short breaks during the day. It's important that you take that time away from work because it helps maintain your mental health. If you're looking after babies or small children, even though it's difficult at times, you must have time to rest and relax whenever you can manage it. Child rearing can be intense and usually you have no one to step in if you get sick - it makes good sense to take care of yourself, so plan it into your days. January is the ideal time to think about this kind of organising and to work out how to establish or improve daily routines. There was a time when I'd spend a few frantic days over the summer holidays to clean and organise; now I do it in stages. I started in early December - cleaning the linen cupboards, pantry, fridge and kitchen cupboards. In January I moved on to my craft supplies and soon I'll do some decluttering. I don't use the konmari method, I don't aim for perfection and I don't want to put pressure on myself to have things looking a certain way. So I tidy drawers and cupboards my way so they make sense to me, I get rid of things we no longer need and I have everything in its place before the year starts in earnest. If you've never done this, it does make a difference to your peace of mind and it will help you in your daily life. If you don't have a lot of spare time in January, set one day aside when you have your annual holiday to clean a few of your often used cupboards and for organising the rest of the year on your calendar. Things will be easier if you've thought about the coming months and taken some time to organise and clean what you can. This is a job you can share, it's not for you alone, so involve the family and make it part of an annual process. 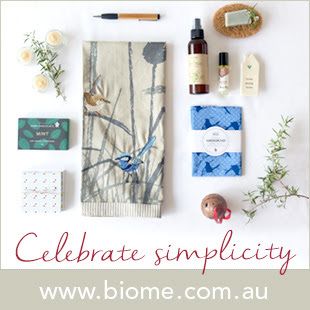 Yesterday I received a lovely package from Emm in South Australia. She and her family are moving to New South Wales tomorrow to set up a farm but she took the time to make me a little Gracie dog. Emm has a scottie dog too. 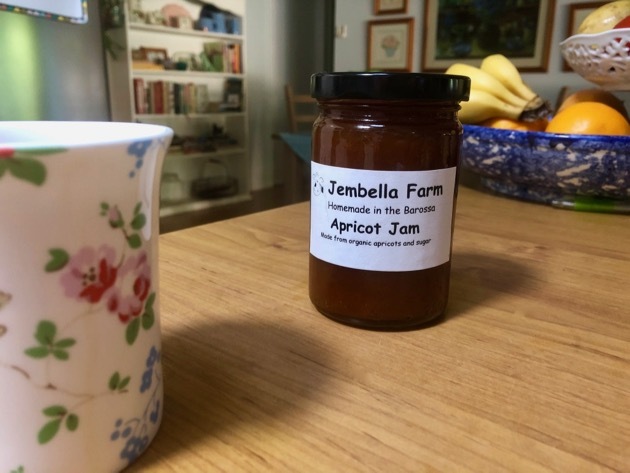 She sent it with a jar of fabulous organic apricot jam from Sally at Jembella Farm. I've never met either of these two ladies but I feel like I've known them both for years. The blogging community is like that. We see into each others homes, share our thoughts and hopes and over the years we grow close. Happy trails Emm, I hope the trip is a great adventure for all of you. This is where they'll all live. Up high, next to Carl Larsen's kitchen. 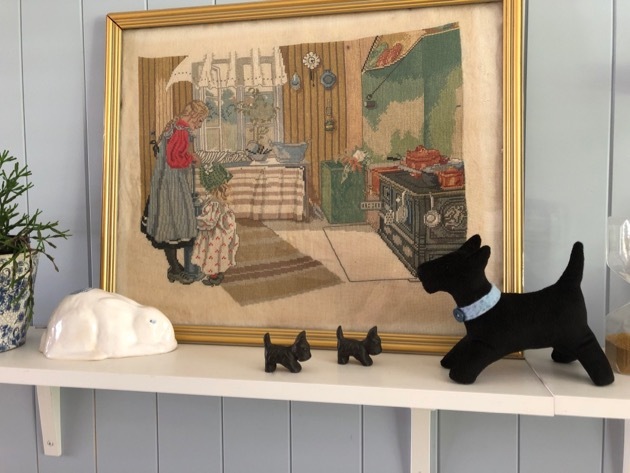 The little cast iron scotties were sent by Gina, another long term reader and my birth twin. We were born on the same day in 1948. Gracie inspecting the puppies on arrival. It was quite hot here today so I was out early watering the garden, then I turned on the air-conditioning and we all stayed inside in the cool. Jamie and I made cinnamon rolls. There are two young ladies from Korea staying at Jamie's home so he took home 10 rolls to share with everyone. I'm trying to unravel a skein of hemp yarn that I tangled up like a mad woman. 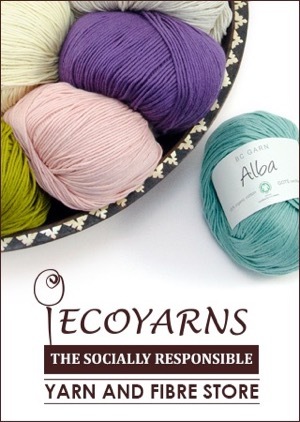 I give it ten minutes every so often and I'm slowly regaining my yarn. I'm going to knit some larger, open weave dish cloths with it as soon as it's ready. This is my first attempt at hemp knitting and when I'm used to knitting with it, I'll go on to knit another light shawl for winter. Jamie loves baking and cinnamon so this was the ideal project. I love this time of year. The summer holidays are almost over, the house is ready for another year of simple, slow, homemade living, the tourists will all go home next week and life in our region will return to normal. I have a full to-do list, I'm knitting and sewing and it's only six weeks till we start our annual planting. 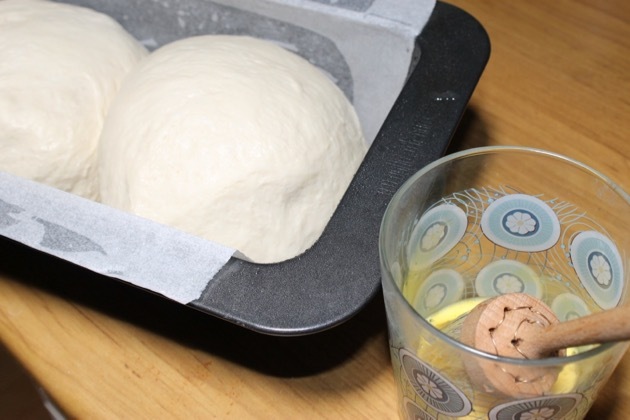 I'll be making cordial, pickles, bread and soap in the coming week. At our house there's always something to do. It makes for challenging days, home cooking, cupboards full of homemade jams, sauces and cordials, and the feeling that we are doing what we are meant to be doing. What's happening in your home this week? I am recovering from hand surgery so I am slowly taking up everyday tasks again. I loved the looks of your buns. Tell Jamie I would love to watch him cook. Thank you for this post. It's motivated me to look into my cupboards as I still haven't started “spring cleaning” them.The trouble is that here in the UK the weather is grey and grim and the mood greyer and grimmer! I read another very good blog about cleaning out food cupboards a couple of weeks ago but didn't do anything about my own. One of the things I love about your blogs is that they are challenging but encouraging. I can't achieve anywhere near the perfection that is advocated in some of the other articles. To read your philosophy of tidying has given me a new bounce! I have made lots of jams and chutneys lately which we are enjoying with our meals. At the moment we are using up what is in the freezer so tidying it and the store cupboards will remind me what meals I can make without shopping apart from fresh stuff. 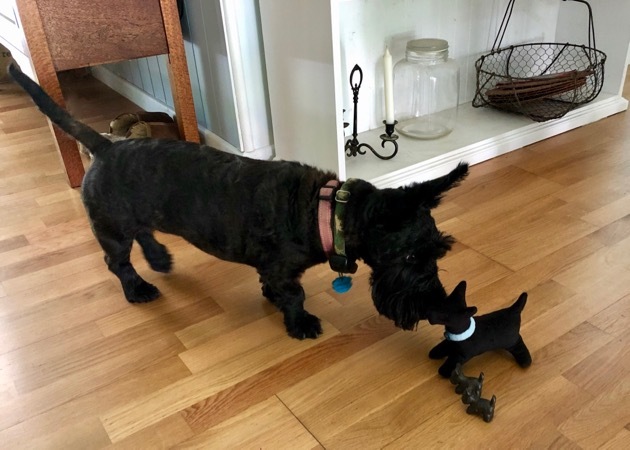 I love the photo of Gracie and the little Scottie gifts. So nice to read your posts again - I think they help to lower my blood pressure! This week I'm decluttering cupboards and donating to the charity shop, making home made soup and a raspberry and almond cake and on Friday a friend is giving me a sewing lesson. All the usual everyday things too - washing, dog walking etc.Life is good. 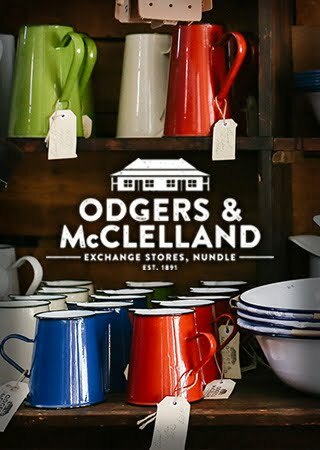 I’m actually trying to fit more in to my kitchen, so I’m going to the local kitchen place tomorrow to get a quote for some extra shelves for the overhead cupboards. I will have a lot more storage if I can fit a few more shelves in there. I did some decluttering a few months ago and made some space for a food processor. Somehow that space has filled up with other things because I didn’t get around to buying the food processor. Oh well, good intentions. I will keep trying - and making a plan wouldn’t hurt. Look at his face! He's so proud of those rolls. it's so nice to readfrom you again. I missed your blog and your stories very much. Instagram is fun! But I'm really enjoying having you posting on the blog again! We * may* get some serious snow this weekend, with more to come next week, including highs only in the low teens, so I'm doing the grocery shopping today in preparation for that. I'm not sure how much I want to be going out (more than I have to!) when the high is, say, 11 degrees F. Yikes! Hi Rhonda, I need to organize my cupboards and shed, too. I plan to make another batch is soap this week, and to work on my Carbeth sweater. It has been chilly and rainy here, and I have really been using the wool hand knits. They are so warm and cozy. So lovely to read your fresh posts again, Rhonda. I was deeply immersed in the past posts, I can't count how many times I have read your blog from beginning to end. LOL You certainly brighten my day. We are in the midst of winter here in the States, so I'm not doing any cleaning out at the moment, more of the quilting and sampler stitching. Thank goodness the business of the holidays are behind us and we can get back to normal now. I live by routine and lists, that is what keeps me happy. I work outside of the home so a list is important in keeping the home on track. I don't know what I would do without you and gDonna to read for inspiration. Thank you! P.S. Gracie is such a cutie pie! Yes, thank goodness the holidays are over. It's good to know you're reading Donna's blog too. She's a good friend and has a great blog. I have been spending my days in my new sewing room, organizing it, so that I will be able to just go in and sew. That was one of my goals when we moved here after I retired. I made some cute pillow cases last week for an auction benefitting a friend with cancer. Now I have felt compelled to sew up a quilt for her called Warrior. 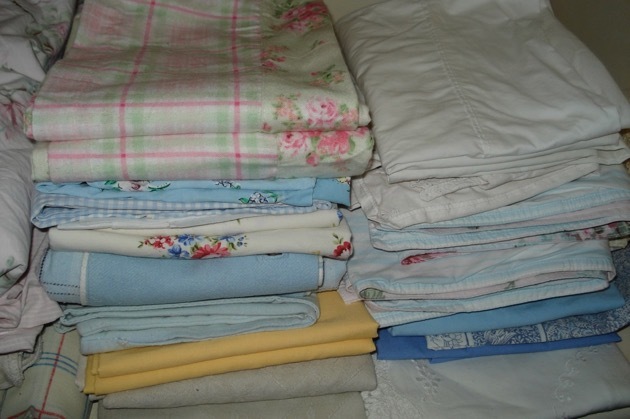 Today I will venture up and sort out the fabrics I have in her favorite colors. I will most likely take the top to our local quilt shop to have it quilted. That is something that takes me too long to do. I want her to have it to cuddle in on our cold winter days. That's my recent doings. It's always a pleasant surprise to see a blog post from you. I miss seeing you more often, but I completely understand your position! Hahaha! Look at all those Scottie’s grouped togeather, that’s hilarious! I have the exact same little Scottie figures gifted to me by a friend. Well today we are packing the last trailer load up ready to move this afternoon. Once it’s done I need to give the house a once over, water the gardens and drop the last of our flock of chickens to a friend. We delayed moving day by a day, but today’s the day. We will be loading up early, it’s going to be 43 or something absurd. I'm staying indoors when I can, it's so hot and dry this Summer. I've picked up my cross stitch again, I want to finish it this year, it's an Amish scene. And spending time with my kids before the new school year starts. I have never seen cinnamon rolls baked in paper muffin cups. I bet they were delicious! We continue to look for a smaller house. There is also the question of where. We think we would love to live about 2 hours east of here but it means pulling up stakes in a community where we have lived for 25 years. The population and traffic here has exploded in growth and we long for a much quieter life. I love the Scottie Dogs!!! Gracie looks very interested in them!! This week and in the evenings I am participating in a Crochet-along - we are making a beautiful rug, in the colours of a bunch of Sweet Peas. It's by Lucy from Attic24, and I am usually so very slow at crocheting, however I seem to be doing a pretty good job of keeping up at the moment!!! I have a friend visiting me from Melbourne with no return date at this time, so we are doing this together and keeping each other company. 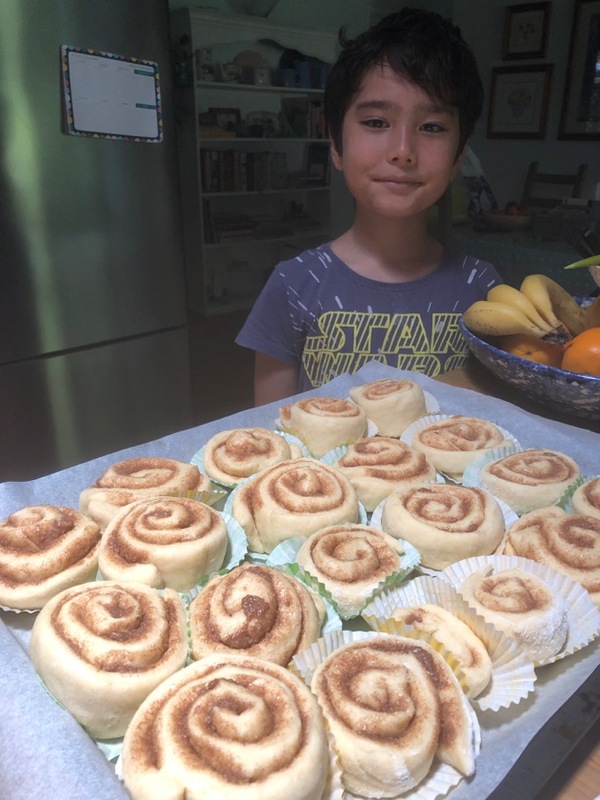 Jamie's cinnamon rolls look delicious! Hi Rhonda- You are giving Jamie a great gift that money cannot buy-- the gift of a skill to help him through his lifetime. Wonderful. I loved the little Scotties you were sent by dear friends. 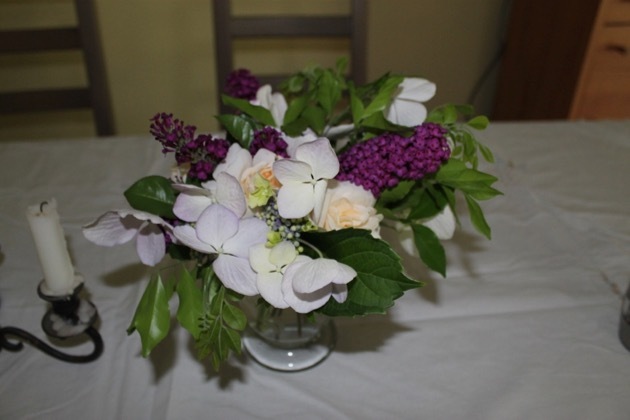 I also have been watering in the early mornings and then staying indoors as the heat builds up. That has not stopped me making bread and butter pickles, sweet cucumber pickle and other preserves as i do so love preserving and find it relaxing not to mention delicious. It is so nice to have you back and sharing with us all once again as you are able. Hi I too like many of your long term readers, thought I will just check your blog,when you decided to close it down, you did mention you might blog when you had something to tell us so that made me check every so often and then just recently you were back, and look forward to your blogging again as regular as you are able. I hope your health will stay stable for you and you are still able to do all the things you wish to do. Hello Rhonda - So happy to read your latest news and hope you are indeed feeling better. It is very cold here in Canada and opening up your site on the chance you may have some news was a great treat. Your inspiring words regarding organizing cupboards in particular have nudged me to get busy doing the same here. Thank you for all you do to make people around the world feel closer in these troubling times. This time of year I always try to do a spring clean and as you suggested I started doing it over the Christmas holidays. A lot more time than expected was spent babysitting the grandkids, so it never got finished. I was so happy when last weekend my hubby helped me with the study and I finished the bedroom and bathroom. He said he will help me once a month to do a deeper clean. 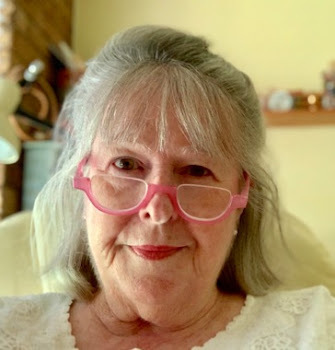 I have been doing the living the gentle domestic life study with Jenny of elephantz, and last week we talked about how we learned the gentle crafts. Jamie will remember his baking lessons with you for years to come. How precious. Take care dear Rhonda, we do all feel like family in this blogging world. I'm impressed with Jamie's cooking. A wonderful skill for a young fellow. That sounds blissful Rhonda. I love those days when I feel productive and it's so nice to be able to do it at my own pace. We've Kon Maried our underwear drawers and it gives us more space there. OMG I nearly wrote underwear draws which would have made it sound like we were massive and needed more room in our underwear! Anyway, our other drawers and cupboards are not as we don't have a lot of clothes, linen etc and it's not necessary. In fact it would look and feel too overbought if you catch my drift. That is meant to read overthought. 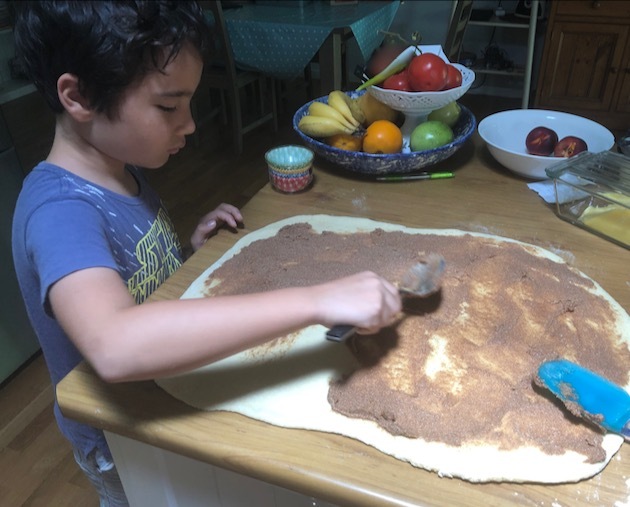 The cinnamon scrolls look delicious and what a great idea to make with the grandchildren as I tend to mainly make Anzac biscuits with them. Its so good to have you back and continuing your blog Rhonda! 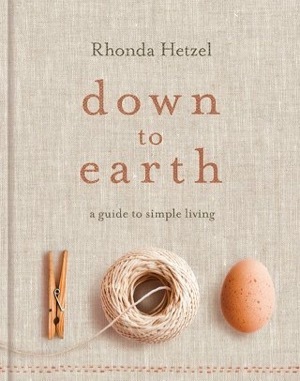 Lovely to have you back Rhonda, it is always such a pleasure to read your gentle ramblings on the simple life. My life at the moment is not so good as i have been diagnoses with Meniere's disease which causes me to have vertigo. The attacks are very unpredictable in both onset and duration so trying to work in a job that I only started in October so no sick leave yet is not easy. In between I have started working on cross stitches again and am enjoying it a lot but otherwise there is not much coming out of my hands. Thank heavens for a very capable husband. I'm so pleased to see you blogging again occasionally. You have no idea what a blessing it is to me to read your down-to-earth words and encouragement. It makes me realise that the normal world still exists. I am very dispirited at present with the drought and watching my garden die, as all our dams are empty and it doesn't rain. I'm too old to start from scratch again. My heart goes out to all the struggling farmers in our country. Hope you and Hanno stay as well as can be. The drought is such a terrible event in many parts of our country. Our farmers are amazing people the way they get through these droughts. The rain will come again, Lyn, so stay positive, even if it feels like the hardest thing. I have been spending our very hot days sorting through my "craft stuff" and organising it so I can have a nice clean craft room to start the year. I wonder how far Emm and her family travelled today? It is going to be such an adventure for them. Those Scottie dogs are just gorgeous! Sounds like you have a productive week coming up Rhonda. I have tomato relish to make and fig jam, just waiting for a couple of cooler days. Wowww....I love cinnamon rolls! I'm on a diet at the moment, but I would eat one or two of them! The beginning of this new year has been full of cold and flu, for us! Can't stand it any more!!!! Enjoy your time. My goodness that last picture is fantastic! 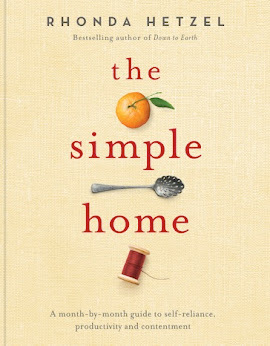 As always, I am so impressed by the common sense and low-stress way you inspire me to be the best homemaker I can be! Those cinnamon rolls look delicious! Glad he is learning how to bake as that is always a useful skill. While you poor Australians struggle with drought and heatwaves, some of us here in the US are currently getting snow dumped on us. This will turn into ice and sleet overnight into tomorrow and temperatures of 0 degrees! Great advice as always Rhonda! There is always another cupboard or drawer to sort out! Rhonda, it’s so nice having you back on your blog! I have gone back to work full time and my homemaking time is limited, but I always learn from you and utilize many of your tips. I too have been carving out little bits of time hear and there to organize and weed through. My craft room is shaping up 10-15 minutes at a time, and I no long stress over it. Thanks for your wisdom and guidance. A few months ago, I began following a routine suggested by a friend. It has changed how I care for my home because I found a system...finally...that is working for me in this season of mothering littles. I spend an entire week focused on just one room/area of our home. Everything else is basic maintenance, but that one room/area gets an entire declutter and deep clean over the days. I schedule a task or 2 for each day during that week (it may be just to clear the desk or tidy one corner of the room). By the end of the week, the room is clean and organized again. And...I don't have to tackle it again for another 6 or so weeks when I'll start the cycle again. I've been amazed by how much clutter has been eliminated from our home. You've helped me to remain focused on loving on and settling into our home as it makes sense to me, not trying to fit my life and home into the Pinterest models. It's great for some inspiration, but it is healthy to draw the line somewhere, making our home fit our needs.